There's no denying that the holidays are here and it's time to start preparing for the festivities. I'm excited to be partnering with the always amazing Lulu*s to share three fun and trendy outfits to match this season's crop of holiday parties! The annual company soiree is a staple amongst the holiday party circuit, where you can finally let a little loose after-hours with your favorite colleagues and show them your fashion aptitude outside of the same ol' office wear. For a cute and appropriate day-to-night look, I went with the classic black skirt with a twist. The mermaid flair is a super cute and flattering cut that makes sure you stand out amongst the sea of ordinary knee-length skirts. 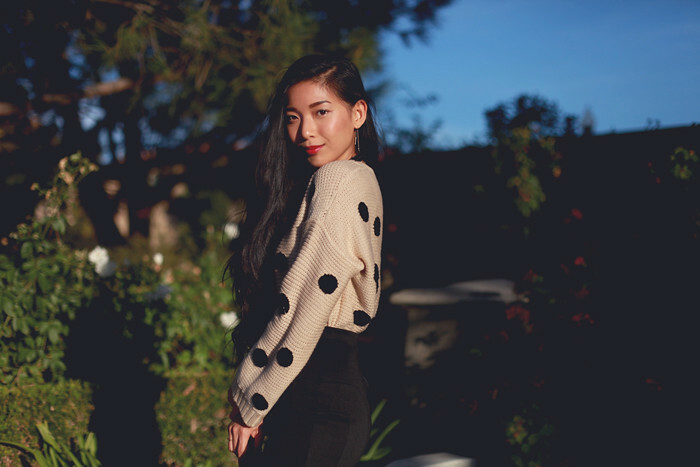 I paired it with this chunky polka dot sweater to balance the look between soft and sleek and to create a chic and cozy impression when laughing with the colleagues over great glasses of wine. Remember, you're partying with the people you see everyday so make an impression, it's worth dressing up for! 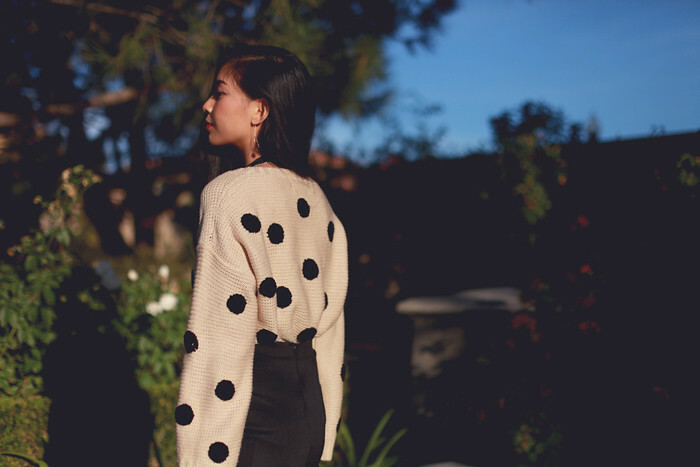 Check back this week for more holiday soiree looks by Lulu*s! Seriously! They are too cute to avoid.